Five reasons to try the Aura Flushable! Whilst working on the Freedom To Be campaign, we've heard lots about the positive impact the Aura Flushable colostomy pouch can have on people’s lives and it seems that many people have the same reasons for loving it. If you’re still unsure whether you should try Aura Flushable maybe the following thoughts might offer some reassurance. 2. Find out that flushable means flushableMany people are likely to wonder if Aura Flushable is really truly flushable. It’s often the fear of not being able to fully flush or being caught in an embarrassing situation that stops people from taking the first step and giving them a try. 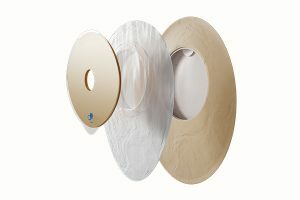 Aura Flushable features an inner liner and flange which contain biodegradable materials* and both can be flushed in domestic toilets, single flush siphonic systems and septic tanks, giving people the freedom to never have to carry a used pouch again. Both the Inner liner and flange are proven not to block domestic pumping stations* and as the two parts separate easily, they can be flushed away together, or you can choose to flush the inner liner and discard the flange separately (either by flushing it on its own or throwing it away in an appropriate waste bin). *Data on file. WRC independent testing 2017. Aura Flushable users, Helen, Boyd and Trevor also offer reassuring messages after using the product all over the world! Helen lives in an old Victorian property in Port Talbot. Boyd told us that he loves to travel with his Aura Flushable. “I’ve travelled quite a bit to America. The toilets there are very different to English toilets. When I went to America I was a bit apprehensive, I thought - I can’t see the flushable bags flushing here. However much to my surprise I never had a problem, they flushed quite easily”. As a keen sailor and world traveller we think we can also take Trevor’s word for it that the Aura Flushable works well in lots of different geographies! 3. Keep things simpleOften it’s the embarrassment of changing a stoma bag in public that has such an impact on people’s lives. What our Freedom To Be storytellers describe is a product that takes away a lot of the hassle and allows them to simply enjoy their time spent out and about, whether socialising, travelling or simply running errands.Helen was surprised at the instant difference that Aura Flushable made. Michel feels the same way. For Trevor, before he used Aura Flushable he was conscious of how others felt. 5. Honey, honeyAura Flushable with Manuka honey is our latest flushable range of colostomy pouches, which now combines the latest flushable technology with the added comfort of medical grade Manuka honey. 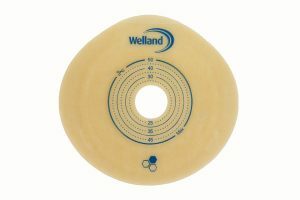 The inclusion of medical grade Manuka honey to the Hyperflex® hydrocolloid flange may help to promote healthy skin around the stoma.The Manuka honey used in the Aura Flushable flange has a Unique Manuka Factor (UMF) rating of 16+. The Honey Research Unit provides the rating as a measure of antibacterial strength. 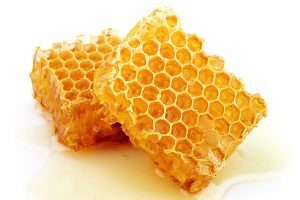 A rating over 10 is commonly referred to as Active Manuka Honey. In order for our site to work properly and constantly evaluate and improve your experience we need to store small files called cookies on your computer. Over 90% of all websites do this, however, since the 25th of May 2018 we are required by EU regulations to obtain your consent first. If this is OK, tick the consent box below. You can view our policy here.